Every now and again, a book comes along which makes me rethink how I do the ratings on books that I review. 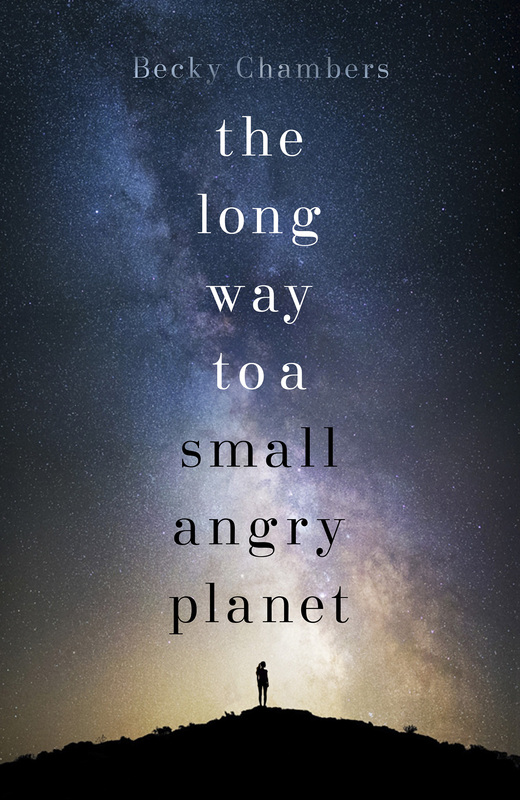 Recently I finished Becky Chamber’s The Long Way To A Small Angry Planet and realised that whilst I’ve posted up a fair few five star reviews, here was a book which was so good, which I loved so much, that I really needed to rethink how I handed out my ratings. I’ve gone back through my Goodreads reviews and shuffled them accordingly. From now on, five stars is reserved for those books which you read and immediately know that you’re going to pester people to read. Stuff like Red Rising and Golden Son, Snowblind, Banished or Tracer. Books which I love. Books which I will rave about, and will nag you to read. Now, a four star review is still a great book. One which I’ve enjoyed a lot, and would probably pester you to read if I know that you enjoy that particular author or genre. Recommended, and popped on the shelf. Three stars and we’re into ‘well, it was fine‘ territory. Books which you read, and whilst the time spent reading was perfectly enjoyable, you don’t really feel the need to re-read or even keep the book. I might pass them along if I know you like that sort of thing, or donate them to the charity shop. Two stars and below? Not often worthy of a review unless it really calls for it. Take Matthew Reilly’s Great Zoo of China. A firm two stars, and only really reviewed because I am (or was) a huge fan of his early work. They were great fun, stratospherically high concept thrillers which were fantastically silly but enjoyable. Great Zoo… wasn’t. So disappointing. So, there we have it. Dave’s New Review Rating System. Now, go read Becky Chamber’s The Long Way To A Small Angry Planet, or Red Rising and Golden Son. You can thank me later. I was caught out the same way in my early reviewing days. I didn’t realise I could backtrack and change my ratings. Now that I’ve started posting reviews up here, I figured that I needed a better system! I would say my rating scale is similar. Something has to be FLAWLESS for a 5. Yup. I’ll be a lot less liberal with my 5* reviews from now on. You should totally read The Long Way to a Small Angry Planet though!